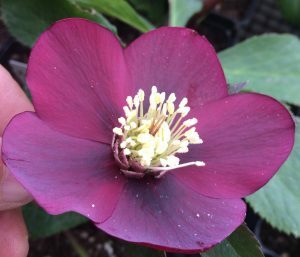 We’ve fallen in love with this richly colored strain of Hellebores. Vivid and intense true wine red flowers are effective both up close and at a distance. 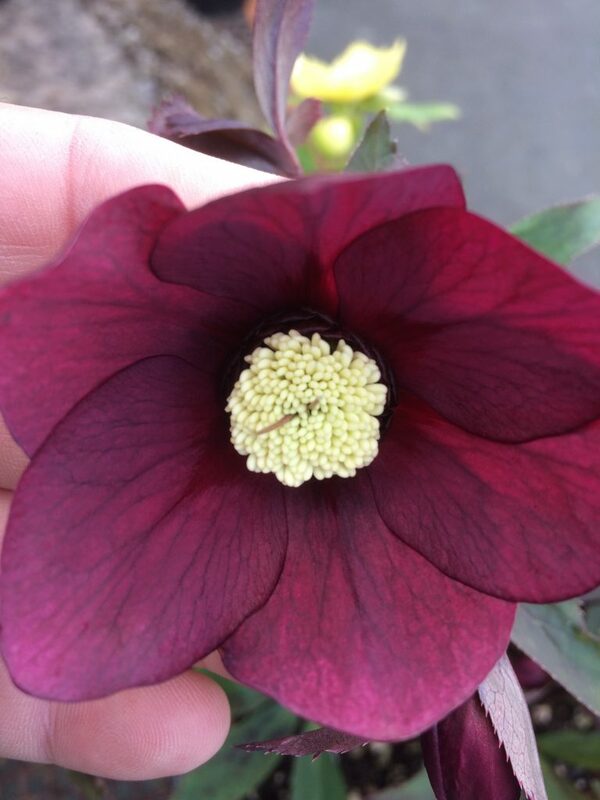 Paired with the maroon new growth and you get a good looking total perennial. Hellebores bloom non-stop from February to April The large flowers of this strain do not fade with age. To 2′ x 2′ for part shade and rich, well composted soil. Light but consistent summer water.